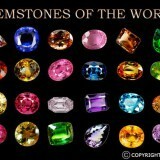 Each month has one or more gemstones associated with it. We will go over the birthstones for each month. 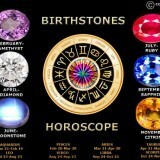 The love of gemstones are selected many times due to birth month. Garnet is a beautiful gemstone and is designated as the January Birthstone. Garnet is traditionally thought of as a burgundy red colored gemstone. There are so many different varieties of Garnet that it is actually available in almost every color. From yellow to dark brown, there are many types of Garnet; some semi precious and some so very precious they are collectable and known by few. Some of the most beautiful gems in the world are garnets. So for those who thought a Garnet is common, well it is not. Garnet is one of the most beautiful and collectable gems on the market. This stone is also given as a present for 2nd Wedding Anniversaries. Amethyst is a semi precious gemstone which is available in colors ranging from a light lavender rose color to almost a purple black. Amethyst is the February Birthstone and is also given as a gift for the sixth wedding anniversary. Amethyst is from the quartz family and can be found all over the world. The most prized Amethyst at one time came from Russia. Today the Russian mines do not produce the famed Siberian Amethyst since the mines have been depleted for many years. 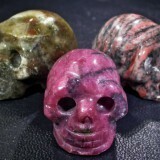 Africa is a leading supplier of beautiful Amethyst today with rich Purple gemstones offering pink and red hues. Uruguay is also another famous Amethyst producing region where the colors can have an electric blue flash. Amethyst is believed to induce peace, serenity and temperance in you, plus it will restrict sensual and alcoholic intoxication, which may be good or bad. Amethyst is said to improve your skin and hair, and prevent baldness. Aquamarine is considered a precious gem from the Beryl Family same family as the Emerald. This gem comes in a variety of Translucent/clear to Beautiful light sea blue/green colors. Bloodstone is green with red spots cut in cabochons form most of the the time but in high quality from can be found in faceted gemstones and is from the Chalcedony Quartz family. In the Middle Ages the red spots were thought to be the blood of Jesus and the stone was believed to have miraculous powers. Bloodstone & Aquamarine have the attributes of good health, love, youthfulness, and hope. Sailors believe in its protection. 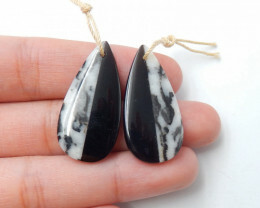 These stones are usually given as a gift for a 19th Wedding Anniversary gift. Diamond is one of the most precious gems found on Earth. 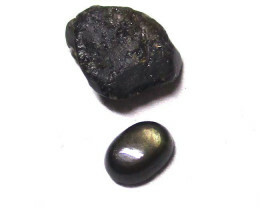 The hardest gemstone and used in many types of Technology other than Jewelry. Diamonds come in a variety of colors from White / transparent to Black. April’s stone the diamond is also believed to heal and are traditionally linked to love, and both endure forever because of diamond’s eternal strength. The Diamond is traditionally given as a gift on the 10th Wedding Anniversary and 60th Wedding Anniversary as a gift. Emerald is another precious gemstone loved by many around the world. Some of the most beautiful Emerald comes from Columbia. May’s green emerald is a symbol of rebirth, renewed youth and good fortune. 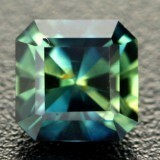 Emeralds are believed to cure you of bad health, healing a variety of illnesses and insuring good health for the wearer. Also, it was believed that the wearer of emerald could see into the future. The Emerald is given on the 20th and 35th Wedding Anniversary as a gift. Ancient peoples believed the moonstone changed with the phases of the Moon. The pearl is associated with chastity and modesty. Stable marriages are said to be the result of pearls. 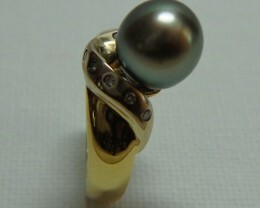 The Pearl is given on the 30th Wedding Anniversary as a gift. Ruby is a precious gemstone found in many parts of the World. Some of the most beautiful Ruby is from Burma. The Burmese ruby has been a favorite for hundreds of years. It has been exported all around the world. Today Most ruby is mined in Africa. Ruby is believed to be endowed with sacred powers by ancient Hindus, and is associated with royalty and power. Rubies will bring harmony of life to the wearer, so one can expect a peaceful life when wearing this stone. The Ruby is given on the 15th, 40th and 80th Wedding Anniversary. Peridot comes in many beautiful shades of green. It is one of few gems that is never treated for color in any way. Mined around the world some of the most beautiful Peridot comes from Asia and Pakistan. Peridot is believed to protect those who wear it from evil, particularly from the forces of darkness. It can also increase the healing power of medicinal drugs. Ancient Egyptians associated the gemstone Peridot with the sun. The Peridot Gem is given on 16th Wedding Anniversary as a gift. Sapphire and Lapis Lazuli are very different gems, Sapphire another Precious gem available in a range of all colors from Clear/Transparent to Black. 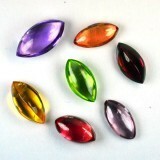 Many people do not realize sapphires also comes in white, yellow, red, green, orange and other shades other than Blue! Lapis Lazuli a semiprecious gem mainly found in a Cabochon form is very unique in color, each stone has a color like no other in a combination of blue, black and gold. Since the Middle Ages many people have given tribute to the sapphire due to both medical and spiritual healing properties. 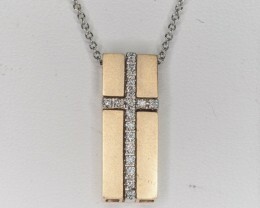 It is also said Faith and purity will come to those who wear this stone. It is also said this gem gives the wearer useful foresight into the future. The Sapphire gem is given on the 5th, 45th, and 70th Wedding Anniversary as a gift. Opal comes in many varieties with values ranging from very little to Thousands of Dollars, Opal is a very popular gem today since many no longer believe it back luck to wear the gem if it is not your birthstone. Tourmaline is a precious gem which comes in a rainbow of colors and can also range in price depending on the type type of Tourmaline bought. October’s opal wards off evil and nightmares. Opals are stones of hope and bringers of the virtues of innocence and purity. Opals stimulate healing and increase friendship and healthful emotions. Citrine is a Semi precious gemstone belonging to the Quartz family. Citrine comes in a variety of shades from very light yellow to a deep Wine colored burnt orange color. The most desired Citrine is the Madeira Citrine a deep burnt orange color rich and full beauty! Citrine is believed to carry magical healing powers through the power of healing and preserving one’s sanity. The stone is associated with life and strength of body and mind. It was once thought that the wearer would become invisible when danger was near. The Citrine gem is given on the 13th Wedding Anniversary as a gift. Turquoise is a very unique gemstone, usually cut in a cabochon form and opaque meaning the gem is not transparent. 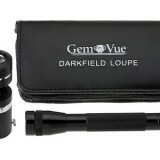 The gem comes in a variety of shades of blue, blue & black, and also a blue/green with black. The gem can be very costly. Navajo people believed turquoise stones were pieces of the sky that had fallen to Earth. Turquoise is also supposed to brings good fortune, good luck, and a happy life—All things everybody wants! The Turquoise gem is given on the 11th Anniversary as a gift. 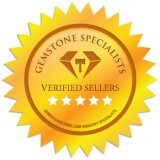 Gemstones can also be selected according to a Numerology chart. 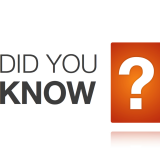 Numerology is a science of numbers which dates back to ancient cultures. Numerologists believe that every number responds to it’s own unique energy source. They believe that when you wear a gemstone associated with your personal number, you will be able to tap into your hidden inner energy. To find out what number represents your life path, us the following calculation below. This will tell you your stone based on your life path number according to numerology. Whatever method you use to find the gemstone or stones that are right for you, the gift of these beautiful stones in your life may very well surprise you!